Mikogo is a free Screen sharing software. You can use it to hold online meetings, web conferences, and even free voice conference. ScreenJellyis a free web-based screen recorder. It provides one-click install, and automatic upload of video. You get a URL of your video that you can share with your friends. Jing is a free screen recording and screen capture software. It makes it really easy to create videos, and then share with your friends. Glary Utilities is a comprehensive suite of Free System Utilities. Includes Registry Cleaner, Memory Manager, File encryter, Secure Shredder, and many more. Definite must for every PC. 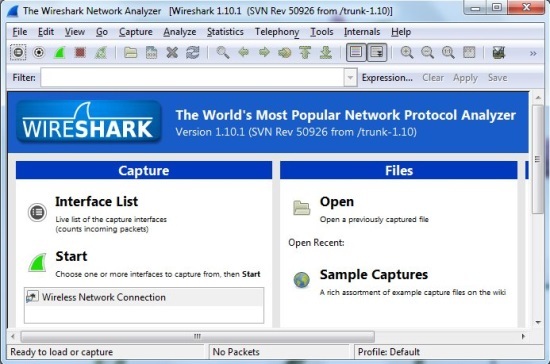 Wireshark is free open source Network Analyzer. It is created by hundreds of networking professionals, and has become a de facto industry standard. GOM Media Player is a free media player. It comes with free codec finding service, free subtitle finder, and also plays broken or incomplete media files. TeamViewer is a free software for remote desktop control, and remote screen sharing. Photoscape is a very nice free Photo Editor. The innovative interface makes it extremely easy and fun to edit your photos. And tons of features ensure that you can edit photos like a pro with this free photo editing software. ManyCam lets you add very cool graphics to your webcam. You can also share your webcam between different chat clients simultaneously. Smart Defrag is a free intelligent defragmentation software. It runs in the background, and keeps your disk always defragmented. PowerPoint Image Copier is a nice free software to extract Images from PowerPoint presentations. It saves the extracted images as JPG files. This article explains how to send and receive fax online absolutely free. Learn JavaScroipt, Python Coding Online By Playing a Game!